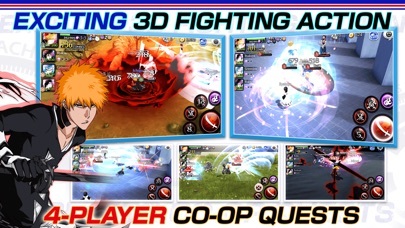 I love this game so much some might think because I am a girl I won’t like this game, but you thought wrong this is the best game I have ever played!The characters have no flaws a lot of people say that the chance of getting a 5 star is low, but thats what makes it fun.The best part of Bleach is the summons the excitement of seeing a five star and the saltiness of when all your friends get the 5 star you wanted , but you don’t! 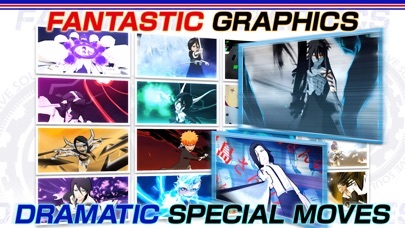 Klab even if you make another game it will never be as good as this game so THANKS KLAB!!!!!!!!!!!!! The game is great. I love absolutely everything about it except one thing which stalls out anyone who doesn’t throw hundreds of dollars on the game. For veteran players like me, it gets difficult to get more spirit orbs. For someone like me who has finished all story modes, side stories, and movies quests as well as maxed out countless practically all the characters except five stars which haven’t been obtained, find it difficult to get any more spirit orbs without tons of effort. It becomes a total grind, just hoping you get new characters or new events or new daily missions. 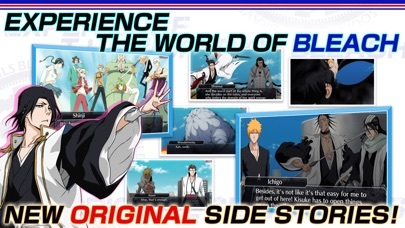 There needs to be a definite way to earn spirit orbs for those who are less wallet and more just faithful to the bleach series. 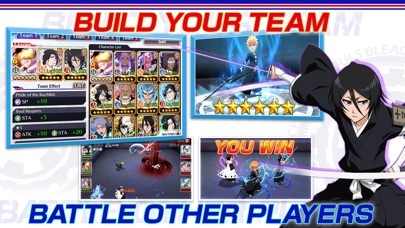 I get it, indeed you need to earn money on your game, but for someone like me who has grinded them game so much and has done almost all that I can do for spirit orbs, there needs to be something that allows me to keep playing and stay competitive to newer players who get spirit orbs and roll for Yachiru in TYBW Summons. Also, PLEASE. More drop rate or something, I rolled 11 times on the TYBW Yachiru and after spending so long to get that many orbs, I got 2 five stars one a repeat five star and the other I was at least happy that I got him. It’s a disappointment that spending so long only gives you 2 five stars for 11 10x summons. Make it something higher please! People also tend to overlook accessories. Please make it easier to obtain those 5 star accessories as well, their drop chance is super low as well albeit I haven’t spent nearly as many orbs on them because I’m afraid some good character is gonna come out and I’m gonna miss the opportunity. The rates are too low you shouldn’t be able to spend 2000 orbs on a DOUBLE CHANCE banner and get one five star. It’s sickening.